The price of SAP HANA is the subject of much discussion, and many businesses are still unsure whether they can afford it. This blog post will address the confusion behind the price of the in-memory technology. To avoid high initial outlay on new technology, many businesses prefer to take the approach of “if it isn’t broke, don’t fix it.” They stick with their existing systems and update them as required. This is one of the reasons why some have been reluctant to adopt SAP HANA despite the advantages that it offers. Businesses are wary of the acquisition costs: New hardware needs to be purchased and installed, and new licenses are required. So SAP HANA must be more expensive than conventional databases, right? In the short term, switching to SAP HANA will generally incur higher costs than other database platforms. In-memory technology is more expensive than disk storage and still requires disk drives or flash memory for backup. And although it is a more efficient method of storage that can reduce data footprint, this usually will not immediately compensate for the additional expenses. However, to avoid these costs, businesses can transfer their SAP HANA systems to a cloud provider. Some hardware resources are still required for this approach, but it does enable enterprises to start small and grow in line with actual demand. It also frees up human resources within the organization as the cloud provider administers the systems. With this option, there is no need to invest time and resources into additional training for SAP HANA. 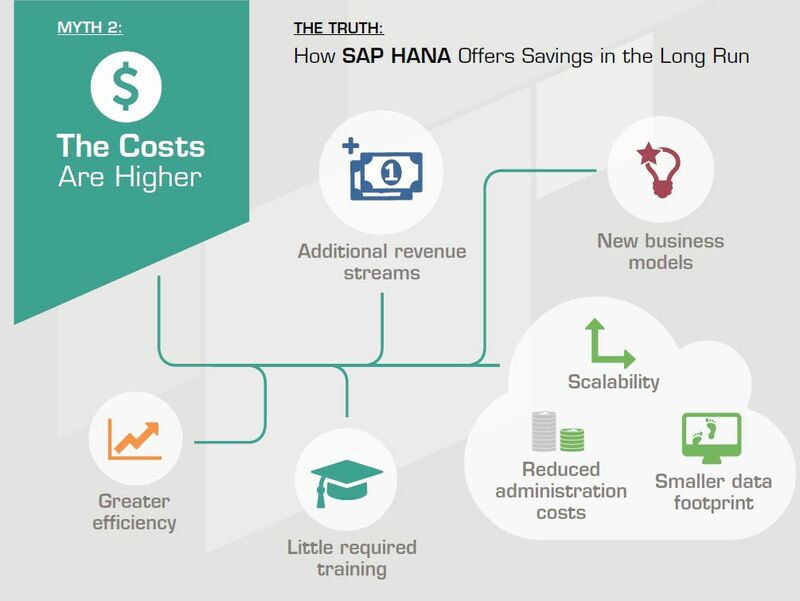 In terms of total cost of ownership, SAP HANA does offer greater potential savings in the long term. First of all, it enables businesses to consolidate database systems into one single source of truth. This not only reduces hardware and software costs, but increases efficiency, too. Because all data is stored in one system, it is no longer necessary to manually obtain data from numerous disparate sources. It is also important to consider the new oppor tunities and solutions that SAP HANA affords. SAP S/4HANA, for instance, delivers a wealth of new functionality to help reduce expenditure and increase value. 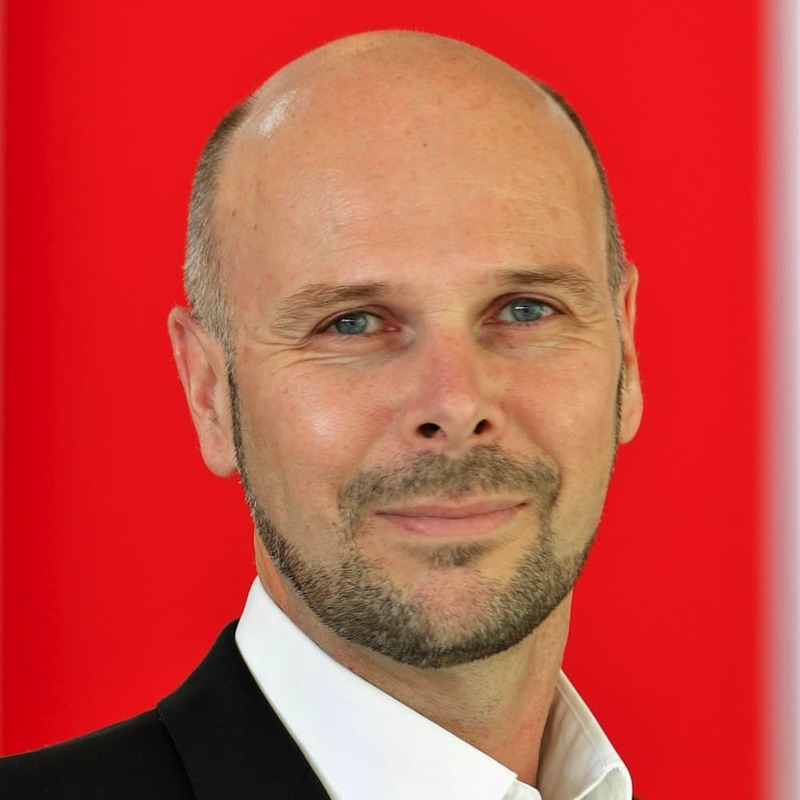 New capabilities such as predictive maintenance, and the easy creation and adaption of business models, help enterprises to generate additional revenue streams. In addition, most future applications by SAP will be based on the in-memory platform, putting the enterprises that use it in a better position to capitalize on new developments. We can see, then, that the relatively high initial outlay does pay off in the long run. If enterprises tap its full potential, SAP HANA will ultimately prove to be the better value option. It is a longterm investment, but one with great promise. If SAP HANA really is primarily intended to accelerate Data Processing? If speed is simply just the catalyst? Is it all a matter of misplaced emphasis?